Alpha Warehouse Solutions, a unit of Alpha Racking , has recently completed the supply and installation of Alpha brand Selectaflow pallet racking for Robbie's Confectionary, who is an agent for Cadbury/Schweppes in Hobart Tasmania. 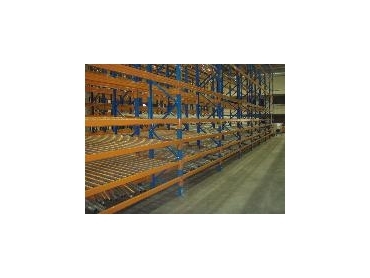 The warehouse required 4,500 pallet positions of the Alpha roller system racking for easy carton storage. The project was planned in 4 months and was completed in 4 weeks and in schedule. The new additions of the Selectaflow is the second pallet racking job that Alpha has completed for Robbie's Confectionary and has finalised the completion of its new warehouse extension. The use of Selectaflow will maximise the storage capacity of its carton space and make the pick face easy to fill and select items for order packing. The ability for Robbie's Confectionary to order direct from the factory has offered a real-time solution and a cost-effective investment proposition.